"Looking for a mirror in Sandown ?" "
"Mirrororworld have 1000's of mirrors and years of experience delivering mirrors to the whole of the UK including Sandown, We Supply and manufacture mirrors for the home and work place, whether your looking for a simple mirror for your bathroom, a cheval for the bedroom or a statement mirror for the lounge, Mirrorworld are the one stop mirror resource. With 1000's of ready made mirrors to choose from and an award winning made to measure service, it's easy to find that desired mirror here at mirrorworld. Check out our online store or try one of our free quote tools for a perfect custom made to your exact requirements. With a nationwide delivery service you really don't need to look further for a beautiful mirrors at a great prices." "Mirrorworld are the experts when it come to mirrors for Sandown, large or small, framed or unframed, customised and made to measure, we do the lot, whatever your needs look no further. check out our extensive on line catalogue or one of our free online designer tools, we know you'll find the perfect mirror for you. With free delivery anywhere in the UK mainland on orders of £50 your perfect mirror is just a few click away." 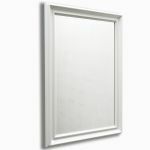 PH071 Just one of the great selections from our Bedroom range of mirrors and accessories. Bring a touch of Hollywood to your room with this beautiful Silver mirror. Made of Mirrored glass and MDF . Wall hanging mirror attached with fitting brackets . Choose this wonderful Hollywood mirror and transform your bedroom with the show stopping radiance of our wonderful illuminated make up mirror for that Hollywood experience. Featuring 12 light sockets for 12 Led light bulbs (bulbs can be purchased separately) which means getting ready has never been so glamorous. *Can be used in conjunction with LED bulbs for economical lighting. This helps the planet and your purse, look great and feel good! *Features 12 light sockets to really brighten up you face and helps with applying of makeup etc. *Feel like a Hollywood star and transform your bedroom into a glamorous dress room. *Sparle like you have never done before with flawless complexions helped by great lighting provided. *CE & RoHS certified to meet UK health and safety standards. *Premium quality mirrored finish with sleek edging, for the most exquisite addition to your interiors. Our luxurious Hollywood makeup mirrors are specially designed for your home or commercial settings. Use them in hotels, bars, restaurants or salons and bring a taste of Beverley Hills glamour to your business. LED bulbs sold separately See MIRPH082 to purchase. At Mirrorworld we pride our selves in delivering quality mirrors and services throughout the UK, including Sandown. HH275 Just one of the great selections from our Children Fun Novelty range of mirrors and accessories. 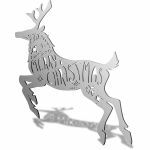 Amongst our exclusive acrylic mirror shapes comes this Reindeer Decorated design. Cut from quality 3mm cast acrylic using state of the art laser technology, you can be assured of a quality finish every time. 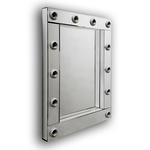 BT018 Just one of the great selections from our Classic range of mirrors and accessories. Passionate about our products and service, we want to help you make the perfect choice; so, in addition to holding a wide variety of mirrors in stock, we also offer a number of bespoke services. Perhaps you are looking to whet your artistic appetite or for our professional creative input; MirrorWorld’s accomplished craftsmen will work closely with you to create your own personal design, by hand at our workshop and deliver it to your Sandown home.